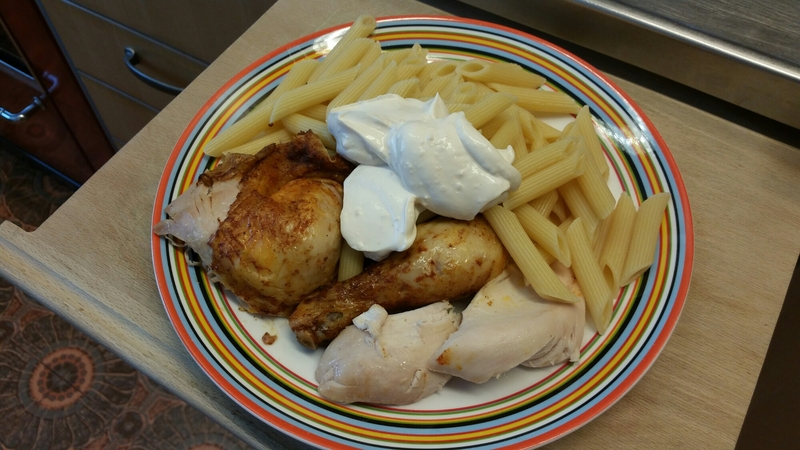 Grilled chicken, penne pasta, and aioli. 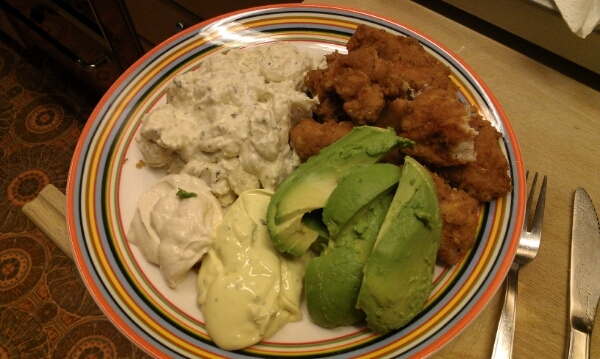 Fried chicken, two sauces (bearnaise + aioli), potato salad, and avocado. 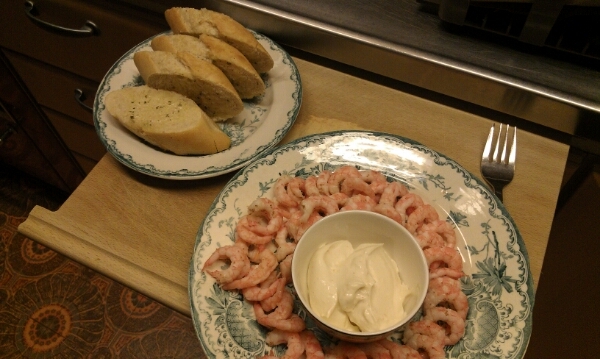 Fresh shrimp (which taste different from frozen ones, and are double in cost) with aioli and garlic bread. 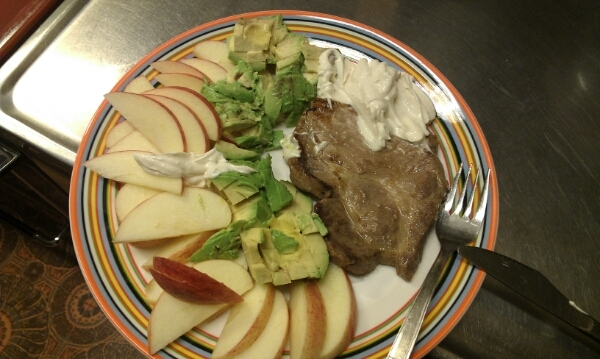 Pork with apple slices, a kinda brown avocado, and the last of my aioli. 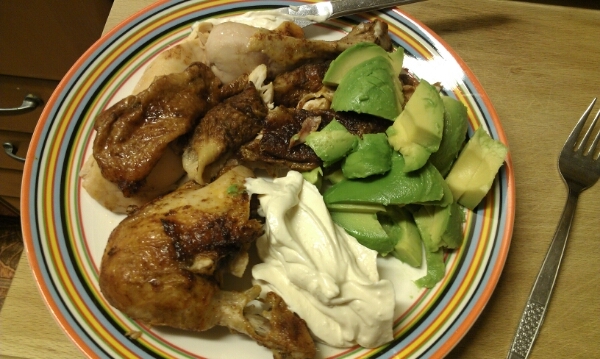 More chicken (I will take a break from chicken next week), with aioli and avocado. 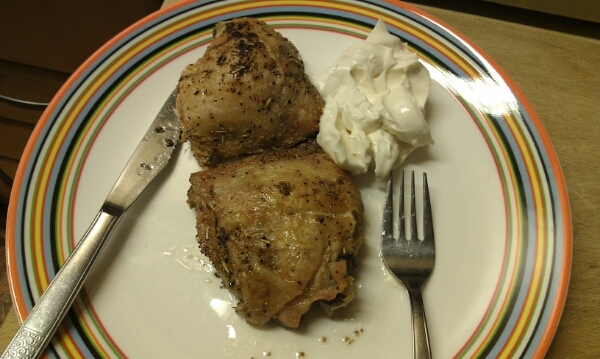 Some oven cooked chicken thighs with the last of the delicious aioli. 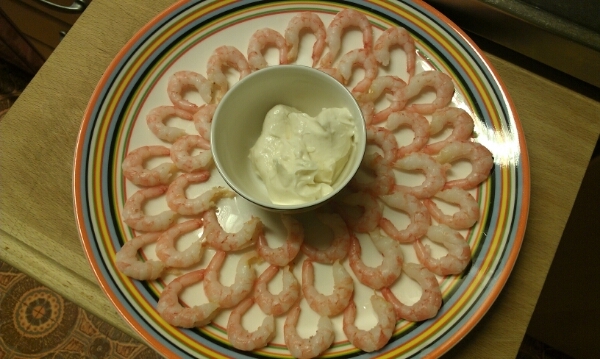 Shrimp, peeled by yours truly, with aioli.